Tosbotn Camping offers overnight accommodation in comfortable cabins with one, two or three bedrooms (sleeping for 4-6 guests). The cabins with 2 or 3 bedrooms (cabin nos. 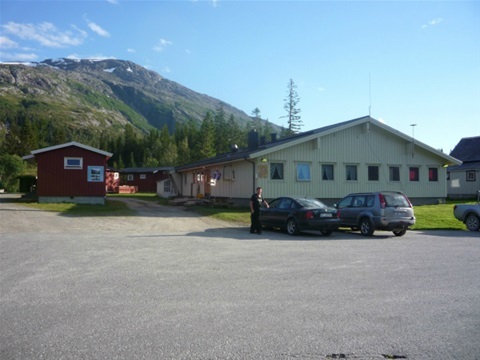 2,7,8,9) have fully-equipped kitchens and bathrooms, while the basic cabins have one separate bedroom, kitchen utensils/hotplate, but no running water/bathroom. Common restroom/shower facility for use by guests. In addition to overnight accommodation in cabins (see below), we also have spaces available for caravans, motorhomes and tents. Common restroom/shower facility for use by guests. 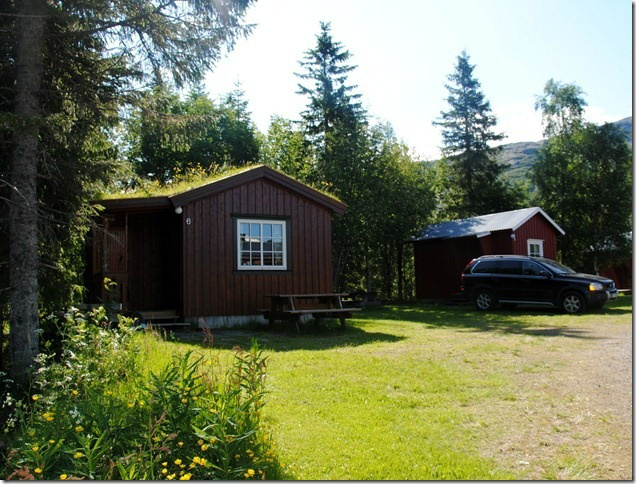 This area also has a Sami-style tepee with sleeping for 12-15 persons, as well as a grill house and outdoor grill. These may be used free of charge by our guests. Experience that genuine wilderness feeling in the lavvo! 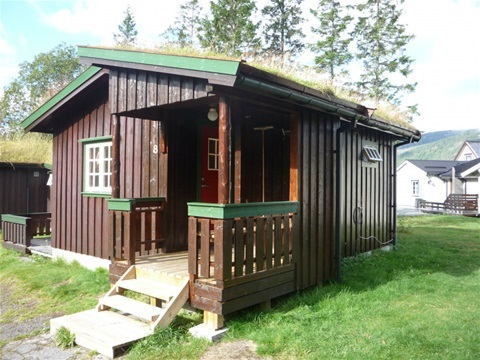 Two-bedroom cabins have fully-equipped kitchens, living room, shower/toilet, sleeping for four. See pictures from the cabins. Large Cabin of 65 sq. metres with three bedrooms and sleeping for six. The cabin has high standard and a private terrace. 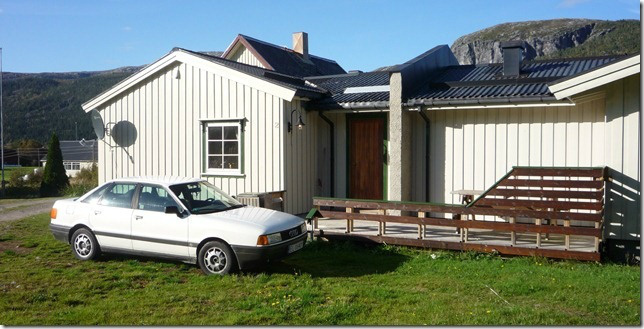 Fully-equipped kitchen, shower/toilet, living room, TV. Each bedroom has two single beds. Basic cabins with one bedroom (bunk beds) and sleeping for four. These cabins do not have running water, but are comfortable and equipped with refrigerator, hotplate and kitchen utensils. Water and shower/toilet in common restroom/shower facility.